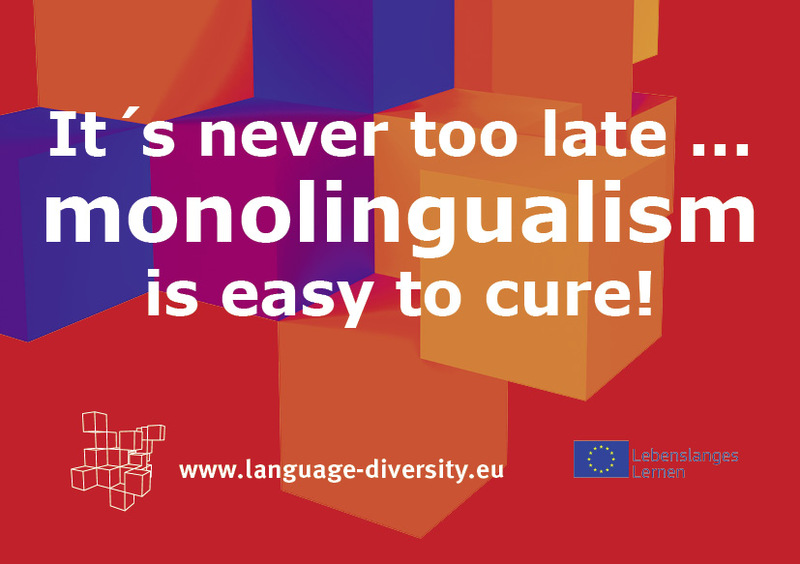 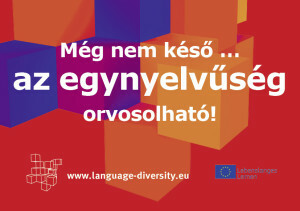 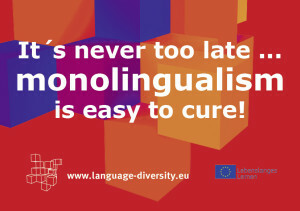 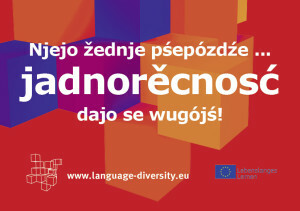 The sticker with the slogan “It is never too late… Monolingualism is easy to cure!” is always hot and popular at all our actions. 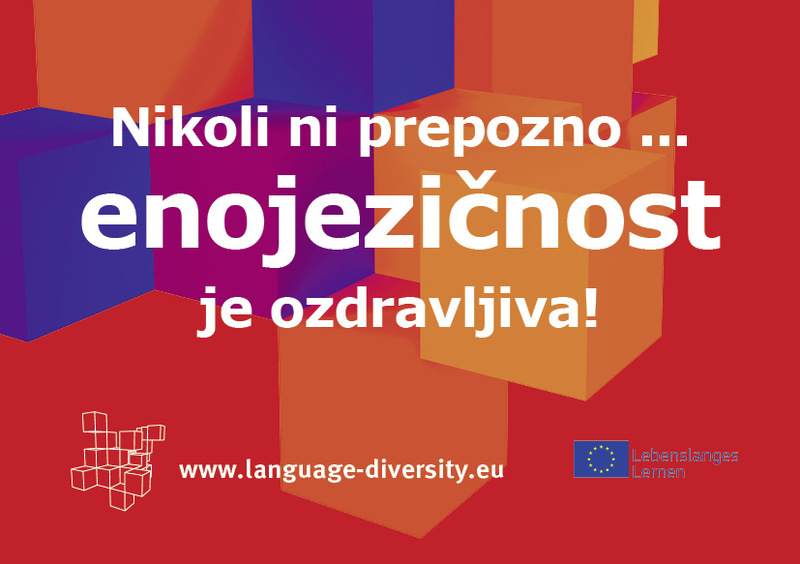 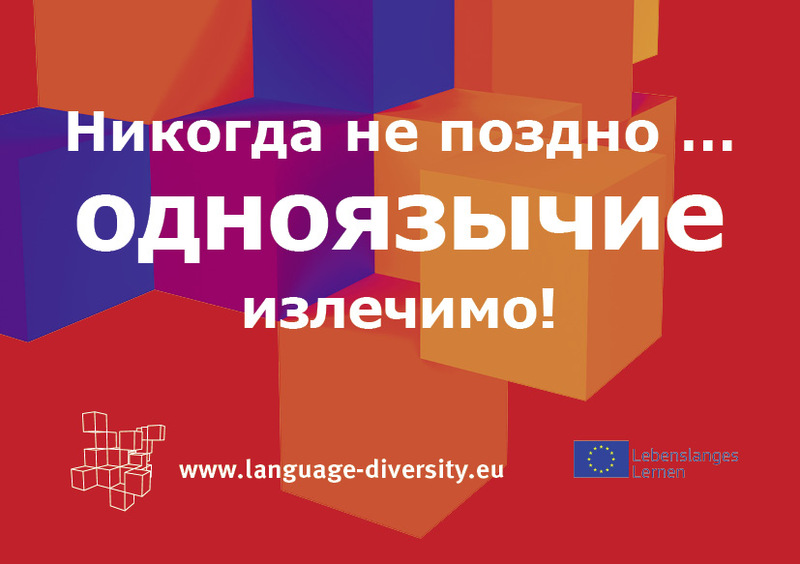 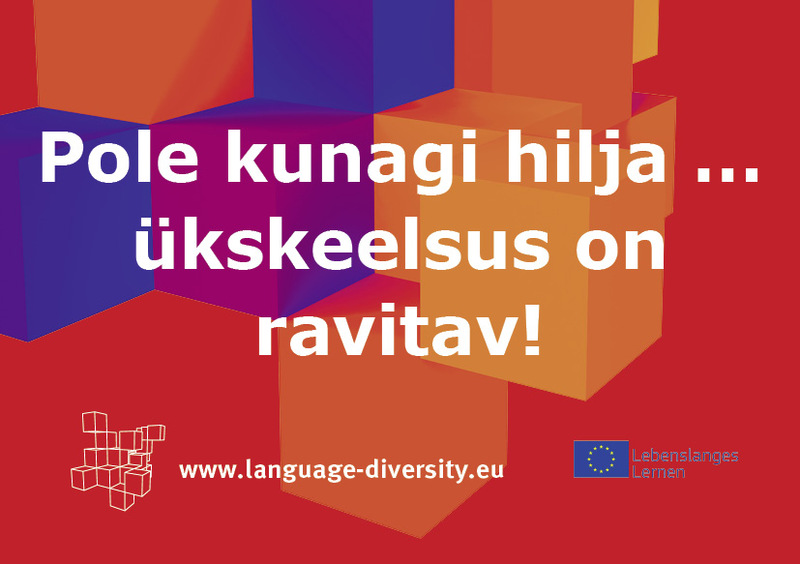 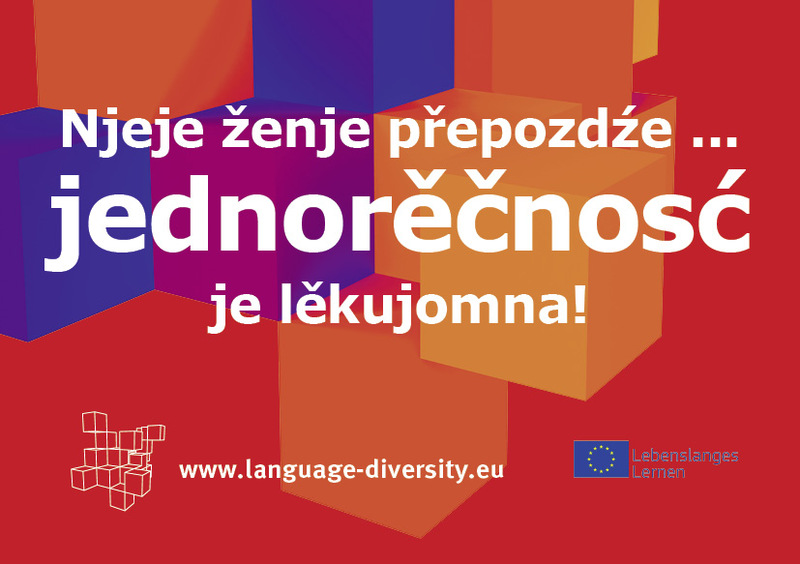 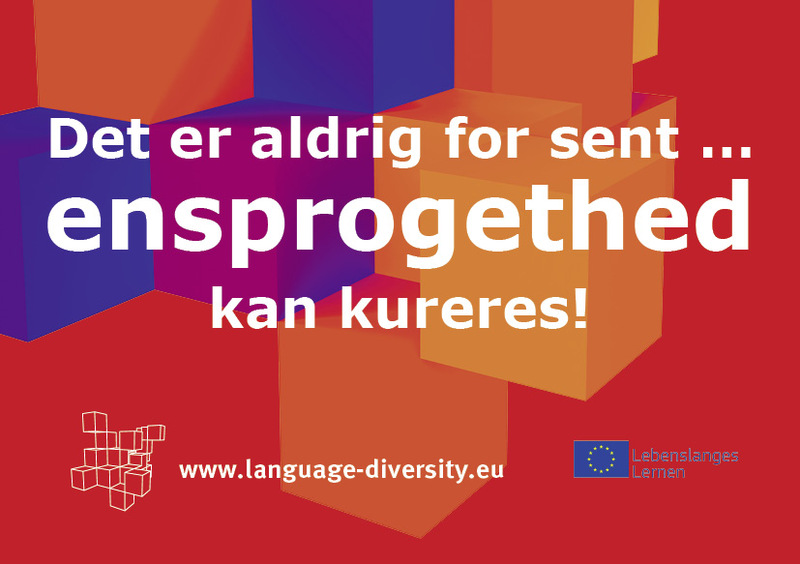 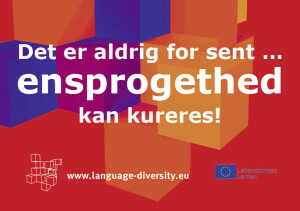 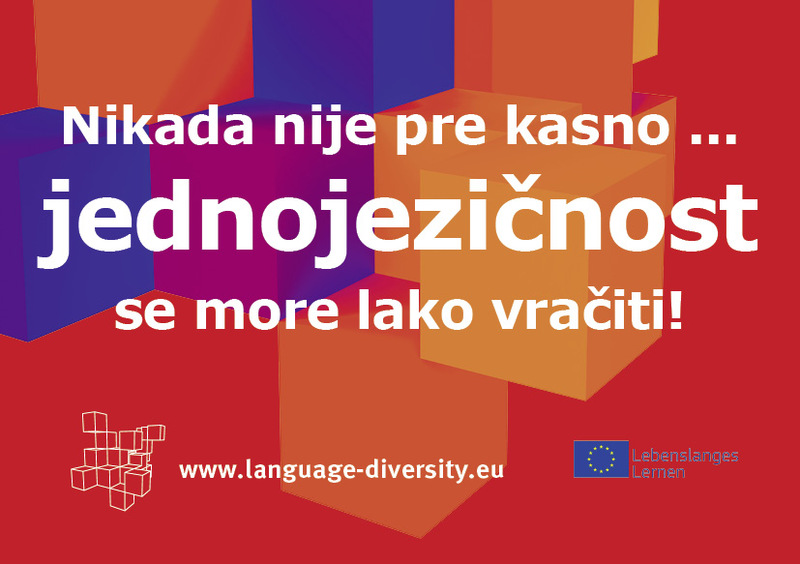 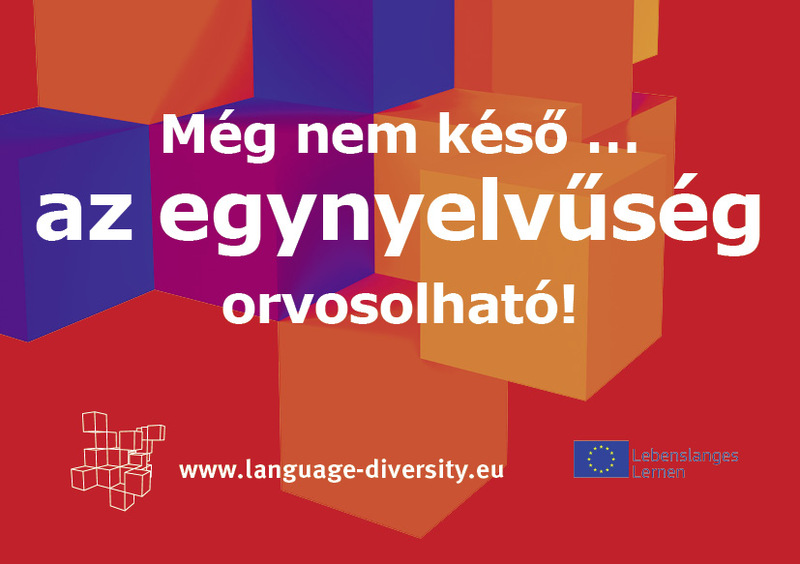 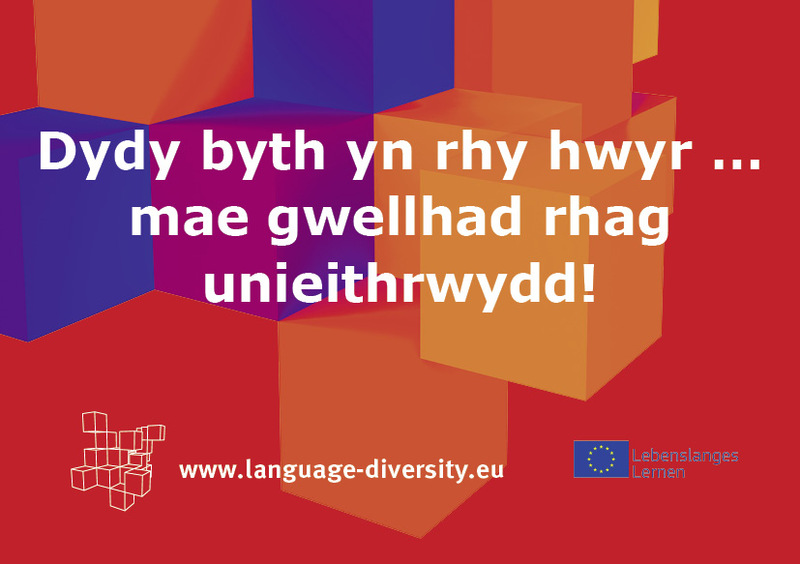 We translated this provocative slogan into more than 50 languages, from Albanian, Faroese up to Romani and Swedish. 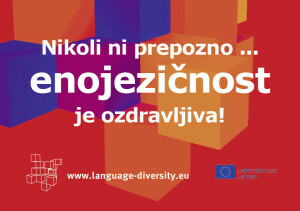 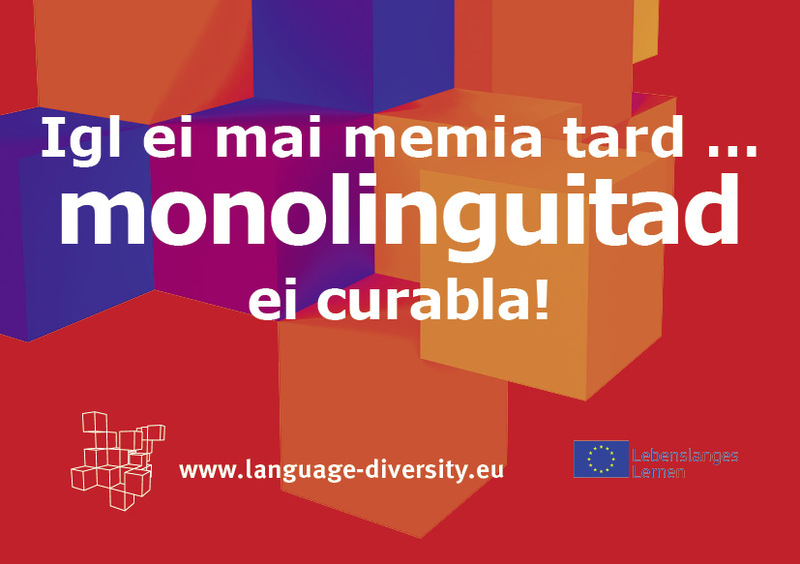 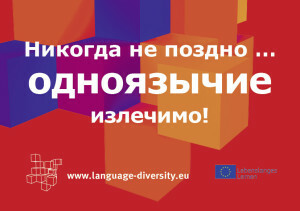 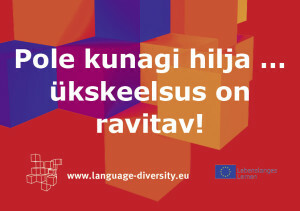 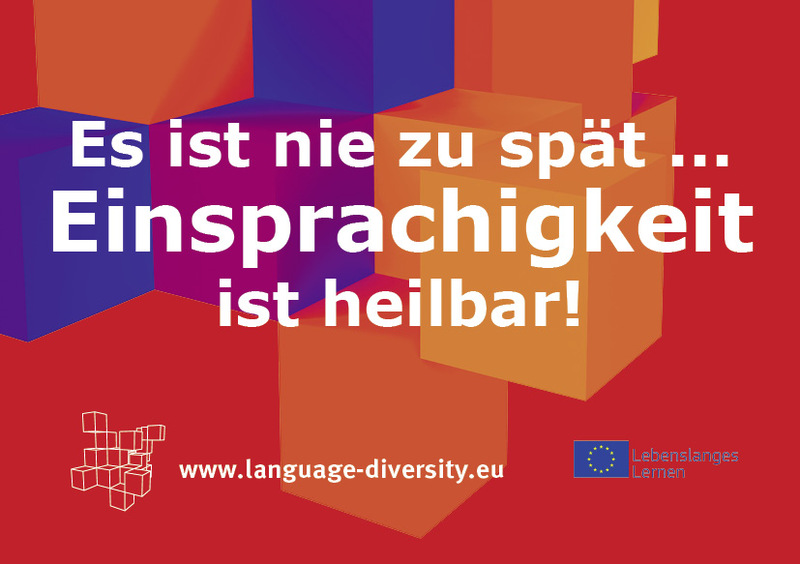 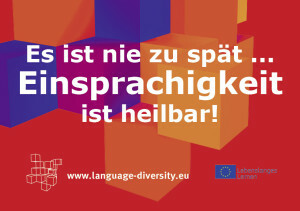 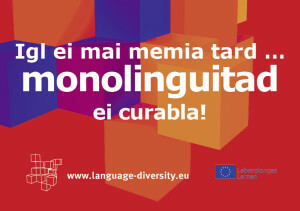 The sticker bolsters the self-confidence of speakers of mi­nority languages and calls for attention for each language. 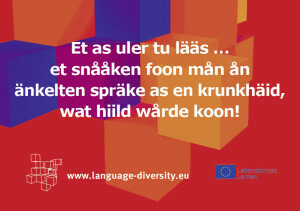 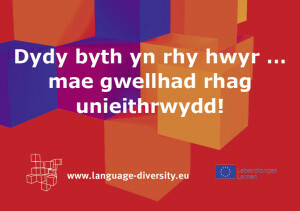 Especially at multilingual events it creates excitement if every person can from a package of stickers pick out his/ her own language or puzzle about what language he/she actually holds in his/her hand. 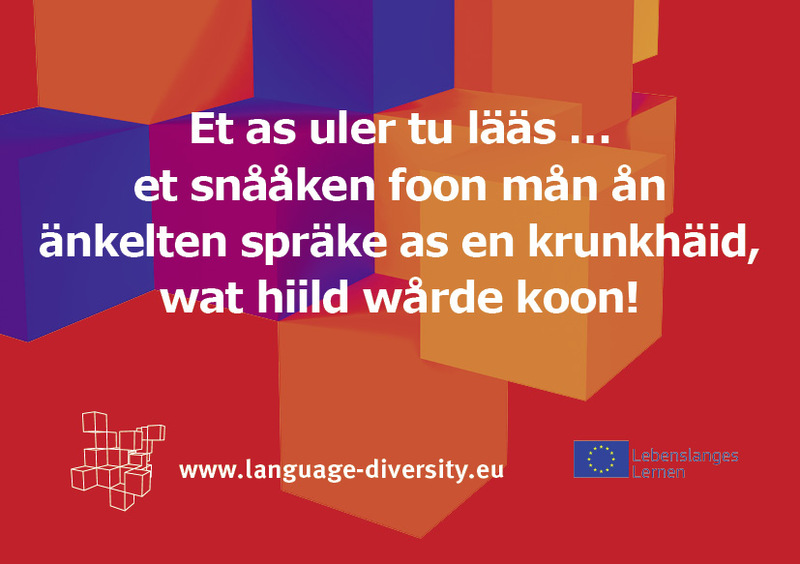 The stickers can be ordered from us for activities, cam­paigns etcetera in any number of languages and can also be downloaded.